The area surrounding the artboard is called the ____________________. The ____________________ tool is a better option than using the scroll bars to move around a document. An object without a stroke will have None as its stroke color. The fill color is the color of an object’s border or frame. Bitmap images are created using pixels. When the Fill button is behind the Stroke button, the fill is activated. All the quick keys for commands in Illustrator CS4 are the same for both the Macintosh and Windows platforms. To "drag and drop a copy" of a selected object, press and hold [Alt] (Win) or [option] (Mac) while moving the object. If a menu command can be accessed by a quick key, the quick key is identified to the right of the menu command. The Swatches panel is central to color management in an Illustrator document. You can drag and drop swatches onto unselected objects to change their fill or their stroke color. Mark is very excited to have landed a contract illustrating a line of coloring books for children. The cover will be printed in color, but the contents will be printed only with black ink. With no color to work with, Mark knows that this type of project will be all about the effective use of ________ to make artwork that is visually interesting. In Illustrator, a star shape has how many radii? The command for changing a document's size can be found on which menu? When a shape tool is selected, clicking once on the artboard opens a ____, which allows you to enter precise information for creating the object. By default, arrow keys move selected objects by what increment? 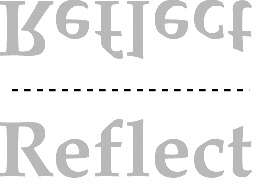 The Scale, Rotate and Reflect tools all fall under which category? The commands for showing, hiding and locking guides can all be found on which menu? The command to turn Smart Guides on and off can be found under which menu on the Application bar? The ____ box is a box with eight hollow white squares that appears around an object or objects when selected. Pressing and holding [Shift] when drawing with the Rectangle tool creates what?